Traditionally receiving white-based colorways, the Nike Air Tech Challenge II gets its darkest look ever with this upcoming pair sporting a black upper with white accents. Traditionally receiving white-based colorways, the Nike Air Tech Challenge II gets its darkest look ever with this upcoming pair sporting a black upper with white accents. This all-new look for the Agassi classic also receives a light orange/coral (or is it gum?) outsole. 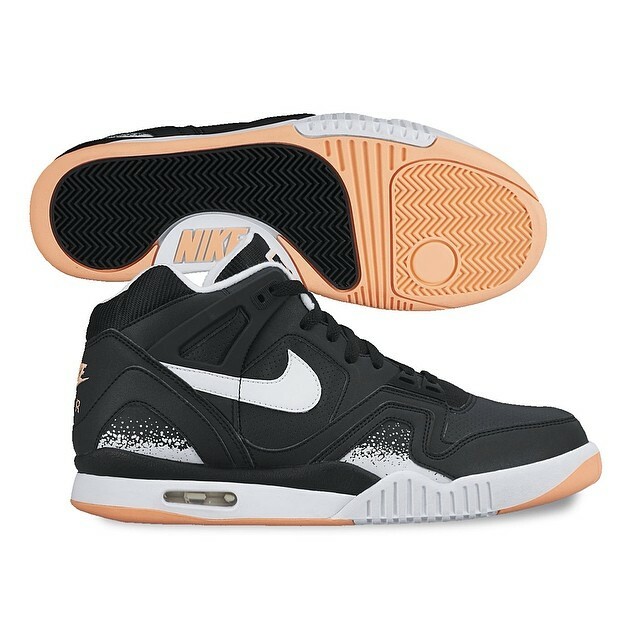 Stay tuned for more information on this upcoming Air Tech Challenge II, and let us know if you're feeling the black makeover.